Oh, NaNoWriMo, how I love you, and how I hate you. Why do I do this to myself? Why do I come back year after year and attempt to write 50,000 words in a mere 30 days? It's the definition of insanity, right? Trying the same exact thing over and over again, expecting different results? I really thought that this year would be different. I am not working, so I have all the time I could possibly want. In the past, time has been one of my big excuses for not doing well in NaNoWriMo. "November is a really busy month for teachers." "Thanksgiving really throws me off my game." "I just don't have the time to write 1,667 words every evening after working all day." Well, now I don't have that excuse. I have been home every day of November, so far. I have been sitting in my living room, less than 10 feet from where my computer lives. I have multiple notebooks and pens sitting on a table next to me. I have no excuse! 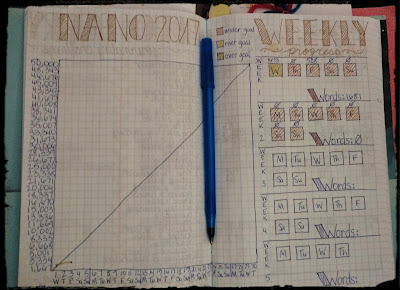 I even made a fantastic and beautiful NaNoWriMo tracker in my bullet journal. Inspired by Boho Berry. She's amazing! You can see from the photo: It's not going well. 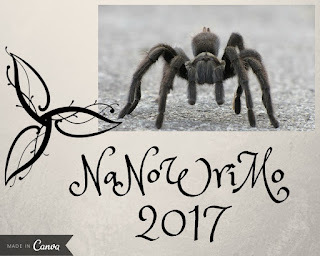 Maybe NaNoWriMo is not for me. As you can see, I have written a total of two days so far this month. Yes, you read that correctly, two days! That's a total of 1,681 words. Almost halfway through the month, and I have only 1,681 words written. Maybe I will start a writing spurt mid-month and reach my goal by the end of the month. Writing spurts are a thing, right? I sure hope so because I need a NaNo miracle! What about you? 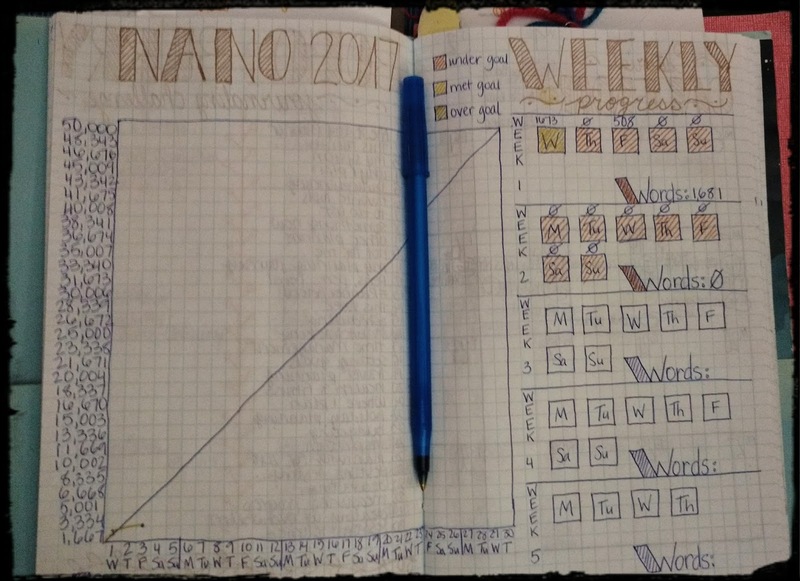 How is NaNoWriMo going for you? 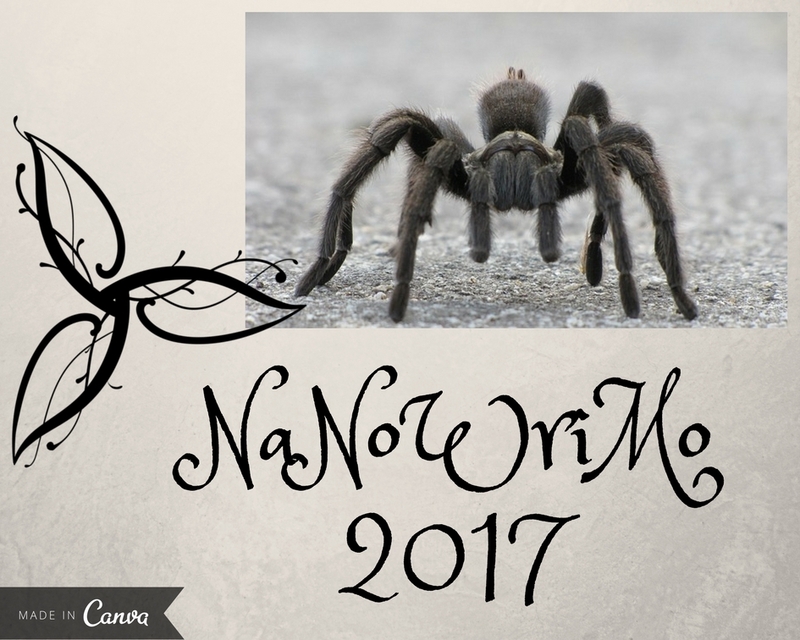 Do you believe in NaNo miracles?